Becoming an optician in the state of Washington can pave the way towards a bright future that is filled with job stability and competitive pay. There are a few different pathways that lead to this future in terms of training. Once that training is complete, Washington opticians can choose from a multitude of places to work as their skills are in demand in many different settings. A future as a licensed Washington optician can be attained by completing the following steps. In order to be accepted into an opticianry education program in Washington, applicants must hold a high school diploma or GED equivalency. Proof must be provided in the form of a transcript provided by the school that issued the diploma or GED equivalency. Education candidates must also be at least 18 years of age. Opticianry education is available at various community colleges and technical colleges throughout the state. These two-year programs result in an Associate’s Degree in Opticianry or Ophthalmic Dispensing. The curriculums basically concentrate on integral components in the field of opticianry, such as optical terminology, principles, and Ophthalmic and contact lens dispensing. The opticianry program must be offered by an accredited institution. There is also the option of gaining education through an apprenticeship program. This option requires candidates to first register with the Secretary of the Department of Health. An apprenticeship must be completed under the direction of a licensed optician and approved by the state. The apprenticeship requires 6,000 hours and cannot exceed a six-year span. The typical time frame for completion of an apprenticeship program is three years. In the state of Washington, certifications are required in order to earn an opticianry license. The first form of certification is a two-year that specializes in the field of opticianry degree from an accredited college. The second type of certification is earned through the completion of an apprenticeship program. This is actually referred to as a Certification for Apprentice Dispensing Optician. There is also a Certification of Experience in Dispensing Opticianry available to opticians who have practiced for a minimum of five years in another state. These applicants must provide credentials that prove they have been engaged as a practicing dispensing optician for at least five years in another state. That other state must also have standards that are either equal to or greater than the standards established in Washington. Any one of these certifications is required to be approved to take the state license exam. Washington offers its opticianry state license exam twice a year and is administered by the Washington State Dispensing Optician Examining Committee. Applicants must earn a passing score of 70 on the exam, which includes written and practical portions. Areas that are covered on the exam include optical concepts, lens materials, composition of the human eye and more. During the test, all of the necessary instruments will be provided to applicants. In order to receive a license, applicants must complete at least four hours of AIDS education and also possess good moral character. In order to take the state exam, applicants must provide proof of one of three types of certifications which could be in the form of a two-year Opticianry Degree, completion of an apprenticeship program or at least five years as a practicing dispensing optician in another state with standards equal to or higher than that of Washington. A Washington state opticianry license must be renewed every year and that renewal date falls on the holder’s birthday. A fee is required for this renewal and proof of continuing education is required every three years. After a Washington state opticianry license is issued, there is a continuing education requirement that needs to be maintained in three-year increments. Opticians are required to complete 30 credit hours of ongoing education every three years. Each of those three years must have a minimum of five credit hours of continuing education. And of the 30 credit hours, 15 of them must focus on contact lenses. Continuing education courses must be approved and are available through local, state and national programs. It is up to the discretion of the Secretary of the Department of Health to approve or refuse credit hours. There continues to be a very high demand for opticians in the state of Washington. By the year 2024, there is expected to be a 37% increase in optician jobs within the state. While pay rates vary according to location, the average salary of a dispensing optician in the state of Washington is $45,100. That is more than $10,000 above the national average pay rate for dispensing opticians as Washington remains one of the highest-paying states in this profession. In some areas of Washington, dispensing opticians can earn an excess of $55,000 on an annual basis. This association provides continuing education opportunities and updates on pertinent topics in the field of opticianry. 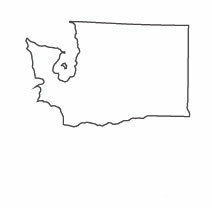 Learn when and where the dispensing optician examinations will be given in the state of Washington. The Department of Health oversees all of the licensing for dispensing opticians in Washington. Browse through the current job listings for opticians in the state of Washington. This association offers a variety of continuing education programs for licensed opticians.